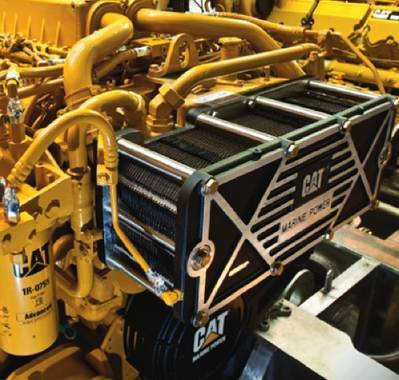 Caterpillar Marine Power Systems says it has increased the warranty on Cat Brand Parts used in all marine applications from six months to one year. The warranty covers all parts used in Cat marine engines, Cat marine generator sets, Cat branded marine control systems and Cat marine transmissions. The extended coverage applies to all parts sold or utilized in service work on or after June 1, 2012. The suppliers say that there will be no additional cost to customers for this significant extension of warranty protection. Caterpillar Marine Power Systems explain that it implemented this new warranty policy in response to customer feedback, industry trends and product quality trends. “Recognizing our leading position in the marine market, we felt the time was perfect to reinforce customer confidence in our marine products. We see a variety of warranty terms and conditions from our competition often adding complexity for our customers in doing an apples-to-apples comparison. At Caterpillar, we do not want to hide behind the small print in the warranty statement,” P. Jaime Tetrault, Caterpillar Marine Power Systems product support director noted." Recent customer feedback, say the manufacturers, indicates that more and more purchase decisions are based upon warranty and service support by engine manufacturers—an area where Caterpillar is the proven market leader. “The challenge in the aftermarket parts business today is in understanding the quality of the product being purchased and the conditions of the warranty offered by the seller. Caterpillar has no hidden conditions on our parts—when you buy an original Cat marine part, you now get a full year parts warranty under the same conditions as our previous six months warranty. We believe this is yet another advantage that sets Caterpillar apart from our competition,” stated David Holt, Caterpillar Marine Power Systems parts manager. The new Cat marine parts warranty is administered by the Cat global dealer network. For more information on the extended warranty or to register to receive a free S.O.S. sample kit or free Operation and Maintenance Manual, visit www.catmarinesupport.com.